The University of Pennsylvania baseball program announced captains on Thursday for the upcoming 2019 season, selecting seniors Matt O'Neill and Sean Phelan, along with juniors Chris Adams and Christian Scafidi to serve. O'Neill, who was also a captain last season, enters the new season with a career .278 batting average over three full years with the Quakers. He was the 2016 Ivy League Rookie of the Year and led the club last season with 29 walks. 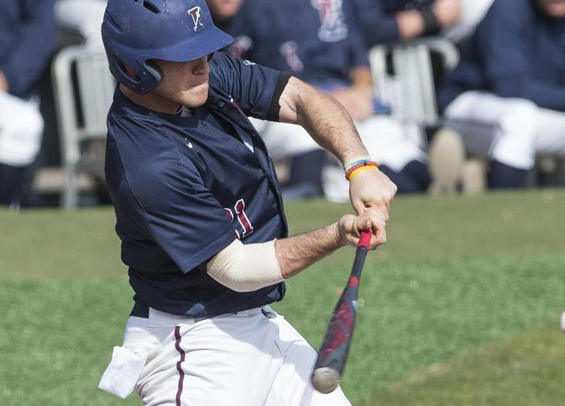 Phelan pieced together a .837 OPS last season, the second highest mark for Penn on the year. He also drove in 28 runs while playing solid defense at first base. Adams pieced together 12 multi-hit games for the Quakers and finished with 13 doubles, the third highest mark among all D1 hitters in Philadelphia. As for Scafidi, he finished second on the team last season in both strikeouts (52) and innings pitched (61.2). "Our coaching staff and players are extremely excited these four individuals were selected as our 2019 team captains," said Quakers head coach John Yurkow. "They are well-rounded young men and have always represented the program and its high standards well. "They are dedicated and selfless, and great competitors on the field. I'm really excited with the direction the program is going with these four leading the way." Penn finished 16-25-1 (9-11-1) last season. Phelan and Adams were both named to the Philadelphia Baseball Review's 2018 All-Philadelphia Team last year.